The track from 1970’s “In Rock” appears on a bonus disc of a previously unreleased 80-minute live show from France’s Hellfest that is included in the November 3 release of a 2CD digipack version of “inFinite” that delivers the original 2017 album, as well. “Bloodsucker” will also be featured on the 3LP set, “The inFinite Live Recordings, Pt. 1”, which will be available December 8. 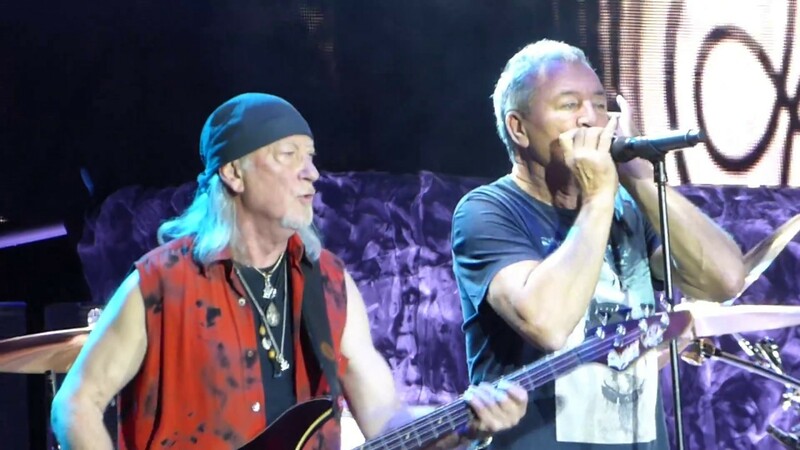 November 3 will also see Deep Purple issue the 97-minute documentary, “From Here to inFinite”, on Blu-ray; it presents, for the first time, the development of the group’s 20th album and a behind-the-scenes look at the inner workings of the band. The set delivers two hours of bonus material, including music videos, three previously unreleased live videos ("Time For Bedlam", "Birds Of Prey" and "Smoke On The Water") – all filmed and recorded at Hellfest 2017 – as well as in-depth behind the scenes footage, movie documentary outtakes, interviews, and an audio commentary by band members themselves.